We have so many great posts around B2B event marketing, but we thought it’d be useful to bring the best of the best into one guide and also give you easy access to lots of links if you want to delve deeper into the bits that interest you most. We’ll update it periodically, so bookmark the page and you'll have a handy reference guide for you and your team, pointing you to all the latest and greatest B2B event marketing information from one spot. Knowing your numbers and what they mean will enable you to avoid a lot of costly mistakes and wasted efforts further down the track in your event marketing. A sound strategy leads to a solid plan and a profitable event marketing effort when all the numbers are tallied. If you’ve run similar events before you’ll need to take a look at your own history and see what you can learn from that too. What worked? What didn’t? When did registrations come in - any patterns? 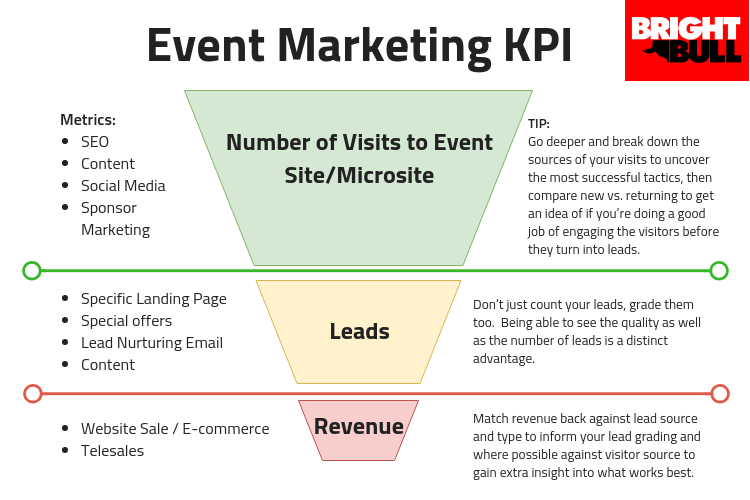 Check out what your event marketing KPIs should look like. Get more detail on which critical B2B event marketing mistakes you should avoid. Every event needs an online home whether its a world exhibition or an online webinar. Attendees expect there to be a single digital destination to answer all their queries and take their registration when they’re ready to commit. Learn how to draft your B2B event web content in just 30 minutes. Then connect with a top event website developer to bring your vision to life! Finally, get a free website checklist to ensure you have everything covered. What is the minimum content you’ll need on your event website? Sharing quality content is your event’s version of a free sample. This “try before you buy” tactic allows you to give potential attendees an idea of what they might experience at your event - whether that’s a partial attendee list for a trade show or a video of a key session for a more content led event. Producing great quality and relevant content is also a brilliant way to build leads for your event. Discover critical content marketing principles you’ll need to apply. Then, learn how to create quick, effective and impactful content with our B2B event marketing content code. Get the credit you deserve - make sure your B2B event content marketing attracts the most possible visitors to your B2B event website. Learn how to troubleshoot your B2B content marketing for those times when your content marketing just doesn’t quite work the way it’s supposed to. Do stay consistent. Don't develop the marketing equivalent of multiple personality disorder in your panic to find something that works. Discover the consequences of inaction when it comes to building online communities for your event marketing. Learn what common misconceptions you might have and make sure you know what you're getting into. Understand why marketing needs to own the content strategy in your online community to make it work for events. Get a copy of our free e-book “Realising ROI from your B2B Online Community”. Understand where you are generating most of your income. Focus on your hottest event, topic or industry. Learn who visits your website and what they do there. Know your basic marketing numbers. Expand beyond email. Social media is crucial. Begin a pilot project or a proof of concept project before you make big investment decisions. Understand the level of effort required by participating in other communities - post on the Linkedin blogging tool, participate in active groups and track traffic/engagement. Assess your current practices and your existing team. There will be gaps and you'll need to fill them to mitigate any potential risk. Social media is now a bread and butter channel for modern event marketing and it has to be a core part of your communication strategy. That said it’s not some magical silver bullet that’ll automatically see thousands flocking to your event. You have to know the rules that apply to interactions across the different social platforms in order to create a positive impression and engage your prospects rather than alienating them. Discover all the ways you can promote your B2B event on social media and learn how to amplify your event content using social media. 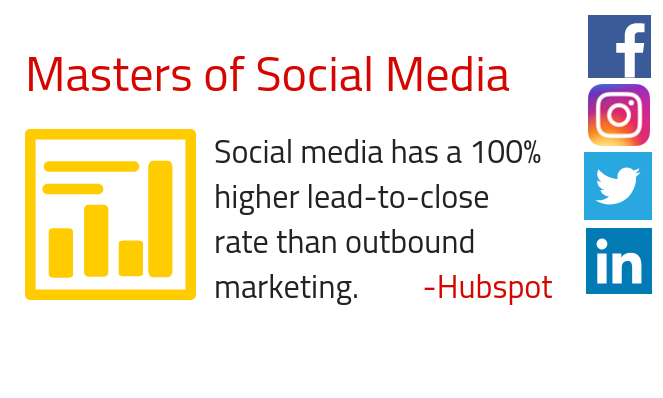 Make #socialmedia more social. 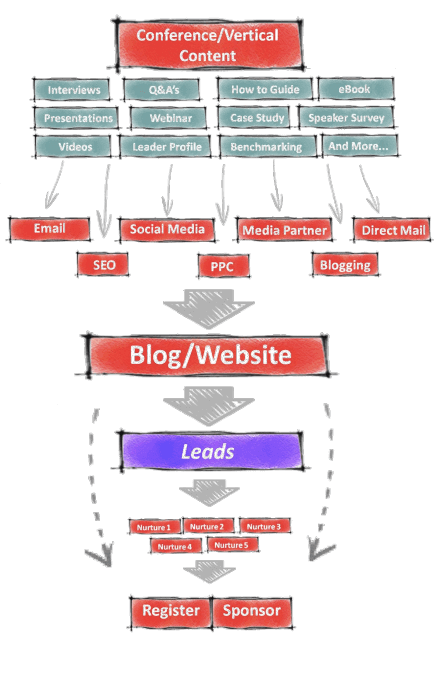 Start conversations with influencers instead of just pumping out links. Focus on your audience’s interests and pain points and less on #socialmedia rankings, followers and algorithms. Tell a story bigger than your event. Tap into industry trends and news on #socialmedia, not just event stuff. #Socialmedia technology should enhance your relationships as well as your productivity. A LinkedIn post has a few hours to make an impact, a Tweet just minutes. Great blog posts deliver traffic for years. Don’t expect relationships with #socialmedia influencers to be instant, they take time and effort. Decide on your #eventmarketing #socialmedia voice and stick to it. Be authentic. More people equals more #socialmedia power. Recruit the rest of your #event team to pitch into your social campaign. Make #socialmedia habit forming. You can’t dip a toe in and succeed, it takes commitment. Invite conversation. Pose questions. #socialmedia is not a broadcast channel. Related to social media is the crucial aspect of partnering with the key influencers in your space. These might be brands, individuals or media outlets. What they are is not important, who they are and how much weight their words carry in your industry is. Partnering with hundreds of different people or publications is meaningless if they don’t have the ear of the people you are looking to persuade to attend your event. Why does the publication / association / website / company exist? What new ventures are they looking to promote? What do you want from them? How wide is their reach? What might their objections be, and how will you handle them? You can download a free marketing partner checklist to make sure you are securing value add partners that really drive attendees to your events. Reaching out 1:1 should be done sparingly, and only to people with a proven interest in your event. It makes sense to contact past attendees and people who’ve interacted regularly with your content. It makes a lot less sense to hound someone repeatedly based on nothing more concrete than their job title. Discover what a modern event email marketing strategy looks like, then see how to grow your event email marketing list and avoid common B2B email marketing mistakes. You should also make sure you’re doing everything possible to deliver effective lead generation for B2B event sales teams. Many B2B event models include sponsorship revenue as part of the mix to make the event financially viable and profitable. As sponsor profile companies get pickier and more demanding, marketing has an ever greater role to play in satisfying these partners. Secure more sponsors. Build bigger, higher value deals. Use your attendee marketing tactics to reach sponsors too. Sponsor profile marketers are interested in the same thing you are - where your target market hangs out online. Just switch up the marketing message so it appeals to your sponsors not delegates. Offer access to your event community beyond the physical event itself, ideally through a formal B2B online community you’ve built. 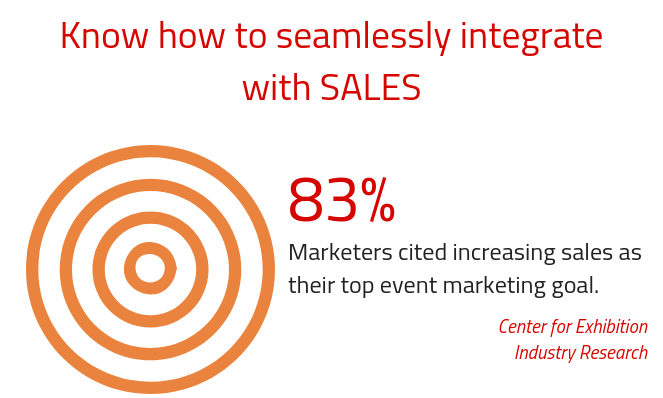 Alternatively you can do this through your multi-touch event marketing strategy. 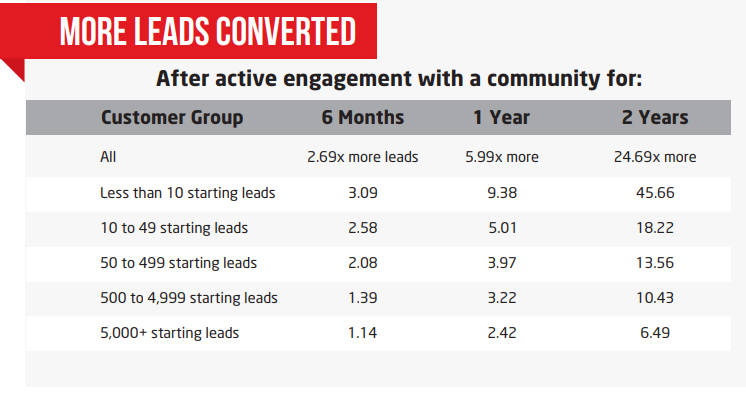 Information can be as valuable as the actual leads gained from an event. So offering market insights and bespoke research as part of sponsorship packages will raise the package value. Provide an audience for their thought leadership content, thereby amplifying the effectiveness of speaking sessions at the event. Have a suite of exclusive sponsorship opportunities around your event - scarcity and exclusivity adds value. Move beyond the sale of hard inventory and get into conversations around your sponsors’ objectives and what they are hoping to achieve, opening the door to more collaborative relationships and genuine partnerships. Is this a priority for your organisation? Read the full story on securing bigger sponsorship deals. Whether you’re sponsoring conferences, exhibiting at trade shows or running your own webinars, as a marketer of a B2B brand you need your events to make a positive contribution to your company’s sales funnel. Ask to get involved in non-traditional elements of the event such as content creation before, during and after the event. You’ll increase your brand’s footprint across the event, gain further access to valuable contacts, as well as endearing yourself to the organisers and opening up the potential for other extras/benefits. Actively participate in sponsorship marketing opportunities. Of course, it’s in your absolute interest to get as many people to the event - more bang for your branding buck! Plan your sponsorship engagements effectively with our tips for generating more leads from your next trade show. Follow B2B event promotion best practice, from using your event's USP to create core messaging, to using modern marketing techniques such as lead scoring and automation to generate and convert prospects before, during and after the event. Use your onsite and post-event follow up to help build your next event and content - keep momentum! Learn how to prep, execute and follow up on a successful B2B brand activation event. Discover the items that are absolutely essential for you to design and author an effective B2B brand event communications plan. Exhibitions and trade shows live and die on numbers of attendees. People like to follow the crowd which makes pre-event social media buzz essential. Potential attendees want to know that lots of people just like them are taking time out to go. So there's usually lots of chatter online, particularly from influencers, which will help convert those maybes to a definite yes. Attending a trade show or exhibition as a sponsor? Discover how to make your trade show marketing investment work harder. Learn how social media amplification can be the missing link in exhibition marketing and promotion. Make sure your business leaders understand the value of inbound marketing for events, even if they are traditionalists at heart. Get some ideas about digital strategy for exhibitions that are as true today as they were when they were written. 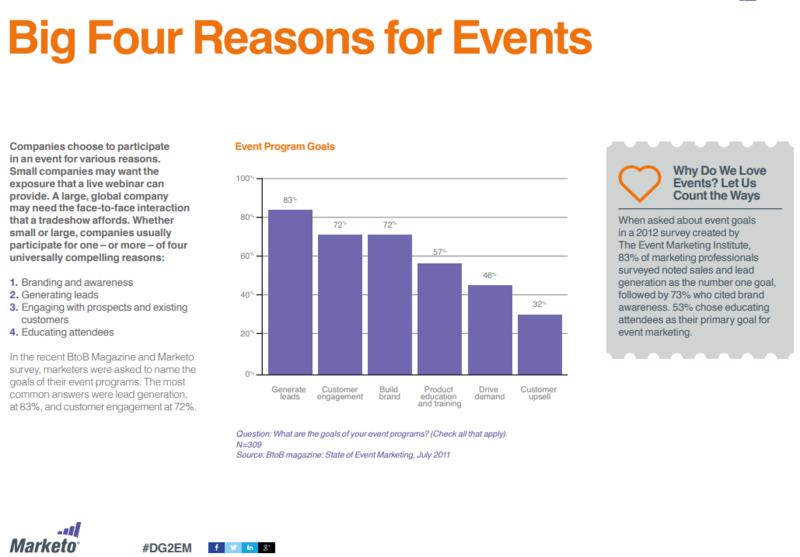 Content marketing is one of the most powerful tools for content led event formats. Use high quality cornerstone content to demonstrate the quality of your event and the attendees will follow. Understand key predictions for the conference industry and what they mean for conference marketing. Make sure you’re displaying all 12 key traits of a new school event marketer. Learn how to counter misconceptions and communicate the cost of inaction in the development of online communities. 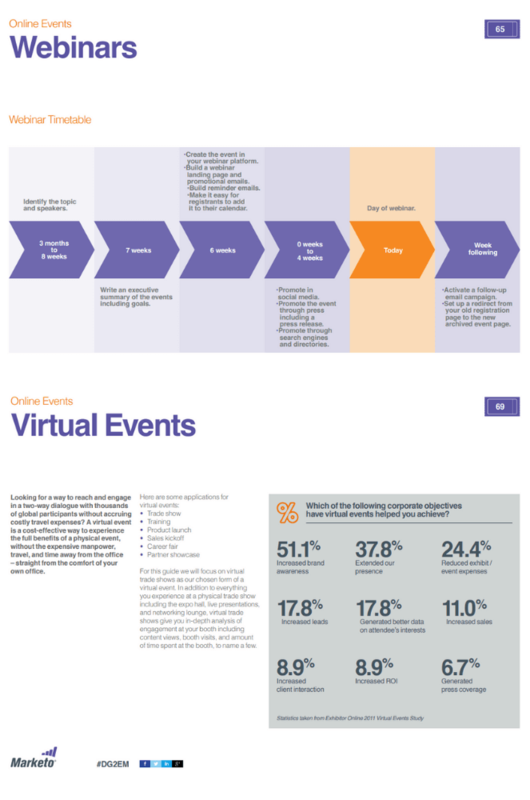 Online events are the easiest of all to dodge or get distracted from. In order to minimise the impact of this tendency, make sure you keep selling the event value in the run up to the event, even for confirmed attendees. In addition, where you plan to make a recording available afterwards (and as a savvy content marketer why wouldn’t you?) you’ll want to emphasise the value of direct access to the speaker/s for questions to encourage participation in the live event. This helps with the people who skip the live event, mean to listen to the recording and then don’t get round to it, so you don’t get the chance to engage them. Make sure you’ve implemented all these webinar marketing tips to ensure maximum sign ups. We hope you’ve enjoyed reading this guide, if you’d like to receive an occasional update when we publish something new and useful, join our mailing list to be the first to know! If you are ever stuck with your event marketing and want a helping hand, please get in touch for a free idea exchange session. We will do our very best to clarify all the questions that might arise.